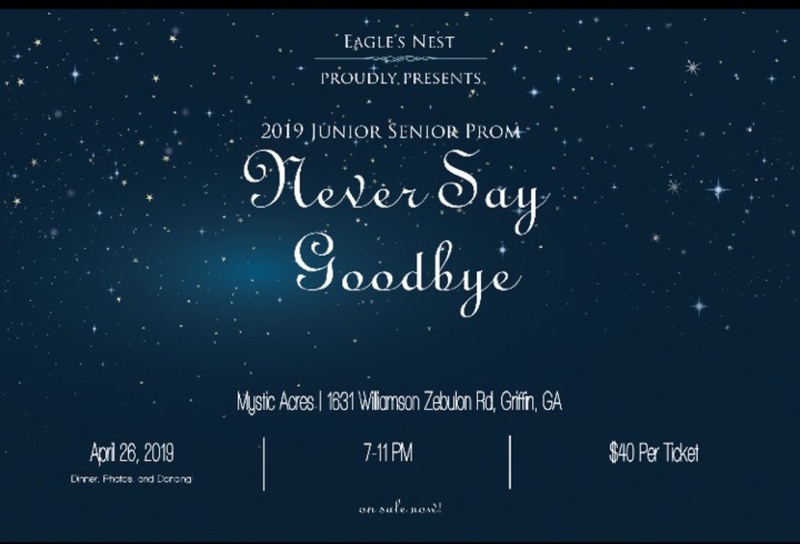 Below are the details for the 2019 Eagle’s Nest prom which is open to EN Seniors and Juniors as well as their guests. *All ladies’ dresses must be approved in advance by Mrs. Lisa June. *All attendees must have a protocol (which can be picked up at Heatherwood upstairs break room) signed by attendee and parent, turned in to Senior Team leaders in advance.